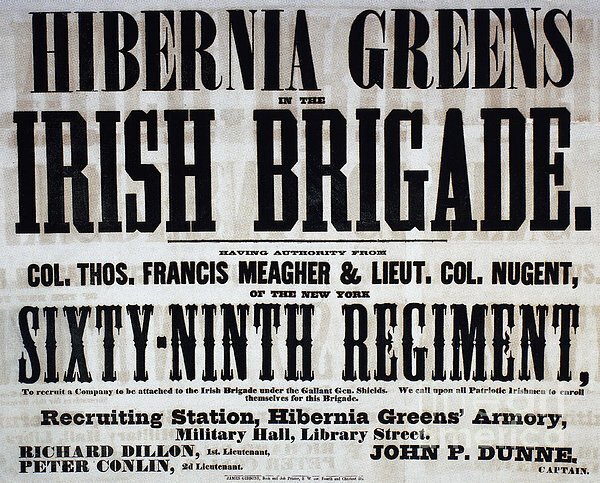 "When anything absurd, forlorn, or desperate was to be attempted, the Irish Brigade was called upon." The 69th Infantry Regiment traces its Civil War honors through three units, the 1st Regiment of the Irish Brigade (69th Infantry New York State Volunteers (NYSV) (1st Regiment of the Irish Brigade)), the 182nd New York Volunteer Infantry (69th Artillery, serving as infantry, the 1st Regiment of Corcoran's Legion) and the 69th National Guard Infantry (State Militia). The Irish Brigade was noted for its ability to tackle tough missions. As one war correspondent said during the Civil War, "When anything absurd, forlorn, or desperate was to be attempted, the Irish Brigade was called upon." 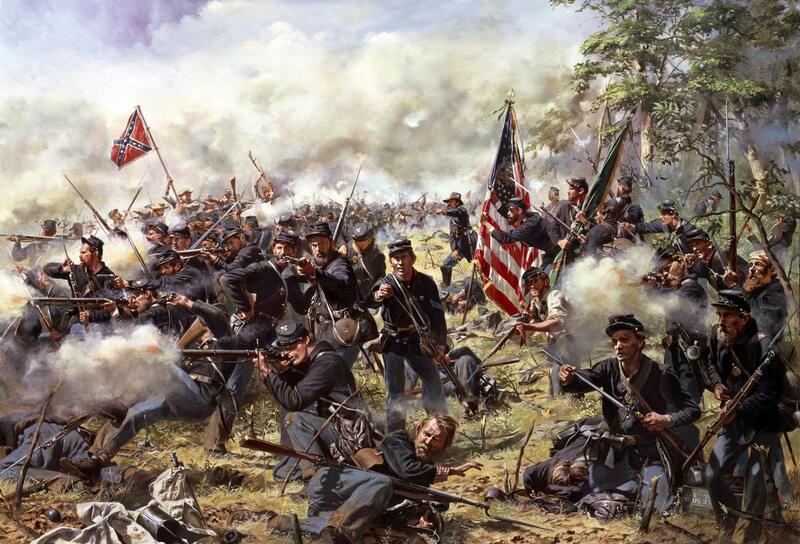 The 69th lost the greatest number of men killed or wounded of any of the New York regiments. It ranks 6th in total loss among all the regiments in the Union army and 7th in percentage of loss to total enrollment. The total number enrolled was 1,513, of whom 261 died from wounds and 151 from other causes, 63 dying in prisons. If you're interested in joining us, simply fill in the form featured below and follow the relevant instructions on it. You must choose an RP name that we can associate with yourself. Once you fill out the form you will recieve a friend request on steam. You will then be notified whether you made it past the first stage of our enlistment process, if so you will be invited to attend a short interview on our teamspeak where you will receive the relevant tags, information, be accepted onto the company tool and be added onto the rosters. All new members start as Privates and must show strong activity and ability to move up the ranks. Promotions will be rare so dont expect many! Last edited by Etherton; 08-03-2017 at 04:19 PM. Last edited by Etherton; 03-18-2017 at 07:53 PM. Last edited by Etherton; 11-08-2015 at 08:38 PM. Aaaaaaaaaaaaaaaaaaaaayyyy lmao!! Gen reg here we go!